Because he was attached to me quite a bit, I developed a knack for cooking one-handed and dirtying the least amount of dishes possible to make clean-up go faster. 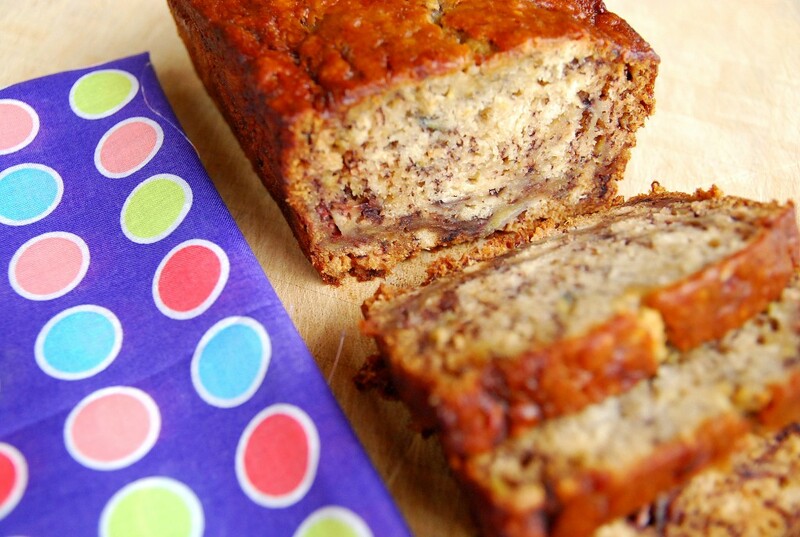 This banana bread is a perfect example. Except for using my left hand for the occasional balancing-the-bowl or helping to peel the banana, I can pretty much do this one entirely with my right hand. I do have a stand mixer which helps, but I’ve even made this with nothing but a wooden spoon and still done it one-handed. 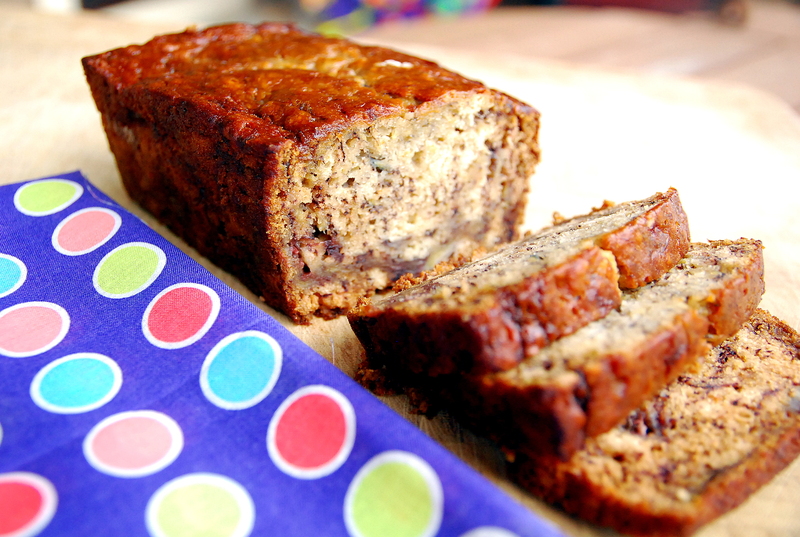 The banana bread itself is moist, tender and jam packed with banana flavor. You’d be hard pressed to find one more delicious. Preheat the oven to 350°F. Spray a 4x8 loaf pan with baking spray. With a mixer or wooden spoon, combine melted butter and mashed bananas in a large mixing bowl. Stir in in the sugar, egg, and vanilla. Sprinkle the baking soda and salt over the mixture and mix in. Add the flour last, stirring just until combined. Pour mixture into pan and bake for 50-60 minutes, or until the center doesn’t jiggle when you shake the pan lightly. Cool on a wire rack. Makes 1 loaf.